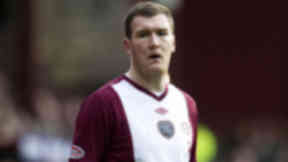 Former Hearts centre forward hoping to conclude a deal quickly to play at McDiarmid Park. Fit-again striker Kevin Kyle has started training with St Johnstone as he steps up his search for a new club. 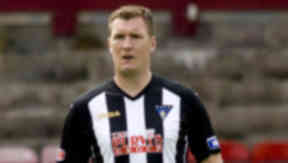 The Scotland cap has been working on his fitness with Dunfermline this summer but now hopes to thrash out a deal with Steve Lomas’ Saints to end the uncertainty around his career. Speaking to the Daily Mail, Kyle said his brother-in-law Jamie Adams, a midfielder at the Perth club, had recommended him to Lomas. Kyle left Hearts last season after a chronic hip injury sidelined him for more than a year. After seeing his former team-mate Ian Black agree to join Rangers, if the Glasgow team are given SFA membership to compete in Division Three, Kyle said that linking up with Ally McCoist is something he would be interested in. He said: “The physio I am working with knows a few people in football and I asked him if he could get an agent pal to speak to Rangers for me. 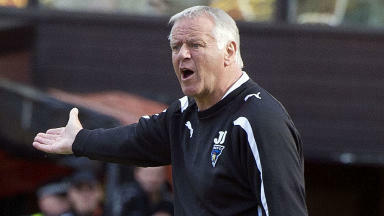 “I wouldn’t cost the earth and, at the same time, Ally McCoist would know what he was getting. I would certainly be more than capable of doing a job for them and it might not be as stressful on my body playing in the Third Division.